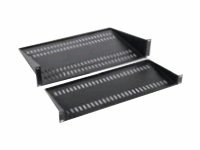 These shelves are designed to mount into any EIA 310 compliant 19-inch rack. 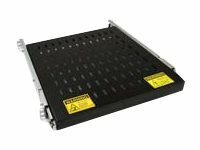 They can be used to support non rack mounted IT components such as monitors and modems. Perforated mounting surface provides tie down points.